Joseph’s Tomb, a Jewish holy site in the West Bank city of Nablus, has been torched by Palestinians, amid soaring tensions with Israel. 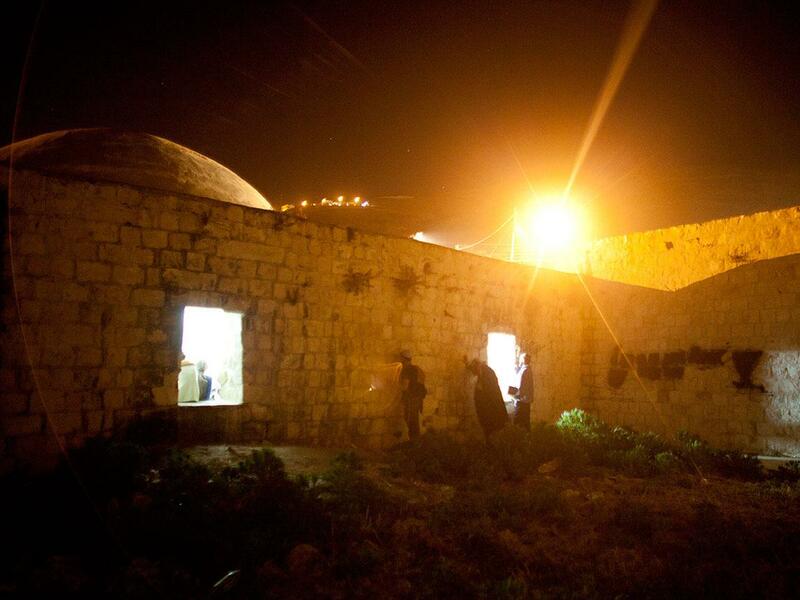 Rioters set fire to the tomb which Jews revere as that of the biblical figure Joseph. Palestinian security forces managed to put out the blaze. It came hours after Israel’s PM Benjamin Netanyahu called on the Palestinian leadership to stop a wave of attacks. There have been near-daily stabbings by Palestinians of Israelis this month, as violence between the two sides spirals. Israel’s military spokesman Lt. Col. Peter Lerner tweeted that attack on Joseph’s Tomb was “a blatant violation of the basic value of freedom of worship”. Peter Lerner said Israeli security forces would “bring perpetrators to justice and restore the site”. This is not the first time the tomb has come under attack. Palestinians tried to set fire to it again last year and virtually destroyed the site in 2000. Tensions between Israelis and Palestinians over the past two weeks have been fuelled by clashes in Jerusalem, in the West Bank, and across the Gaza border, as well as the wave of stabbings. Seven Israelis have been killed and dozens wounded. At least 30 Palestinians, including several of the attackers, have been killed in recent violence.